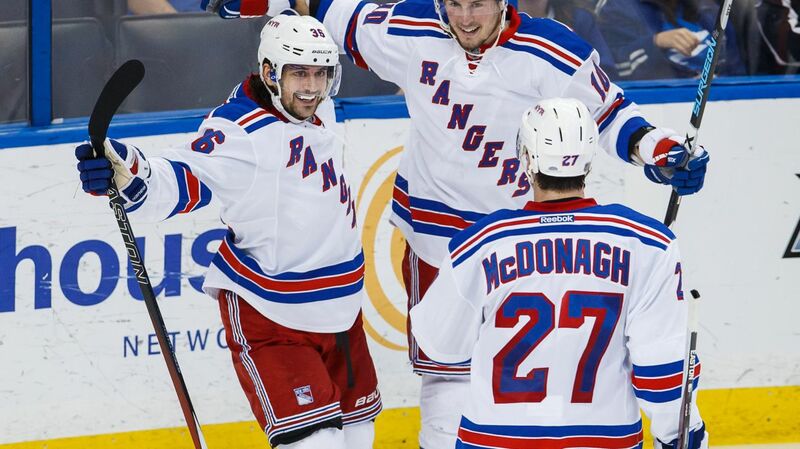 The Rangers (21-13-4) looked to end their eight game road losing streak sating back to November 21st, and they succeeded. They controlled most of the play, despite a few penalties and skated off the ice victorious with a 5-2 win over the Lightning (21-13-4). 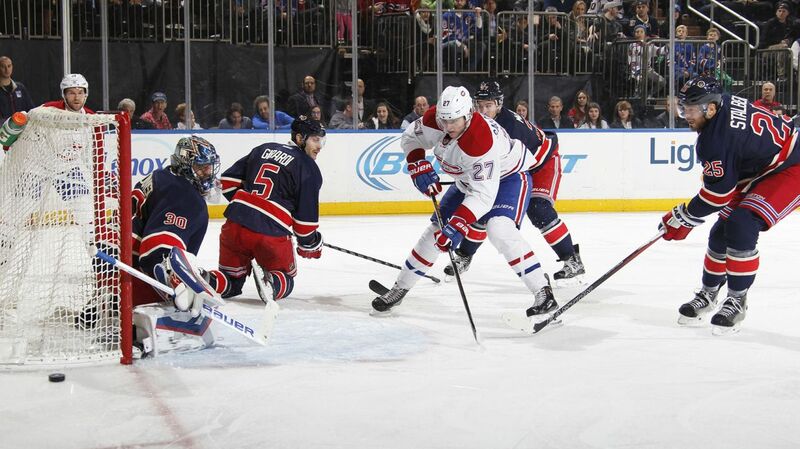 Coach Alain Vingeault sent a message before the game, benching young forward Kevin Hayes for his lack of performance. He expected more out of him to this point, and Hayes knows it, too. Maybe after being a healthy scratch last night he’ll recognize that he’s got to up his game to keep a spot on the roster. There are a lot of former contenders around the league struggling to live up to the lofty expectations set by the fans, the experts and reporters, and even the team itself. 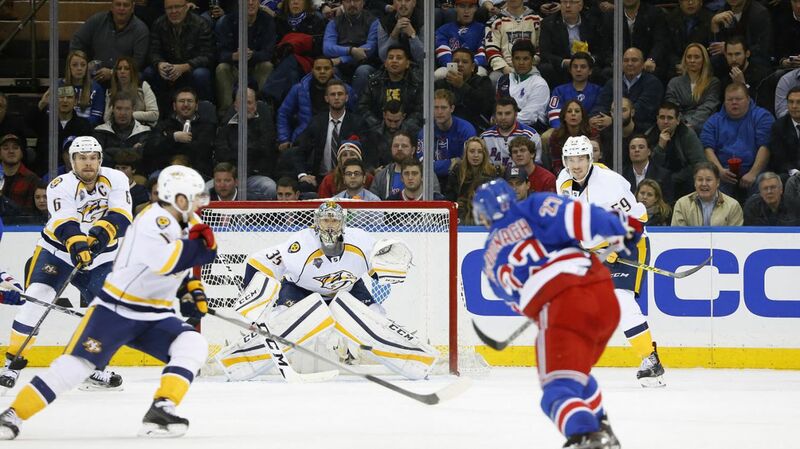 The Rangers (20-13-4) and the Lightning (18-15-4) are two of those teams. 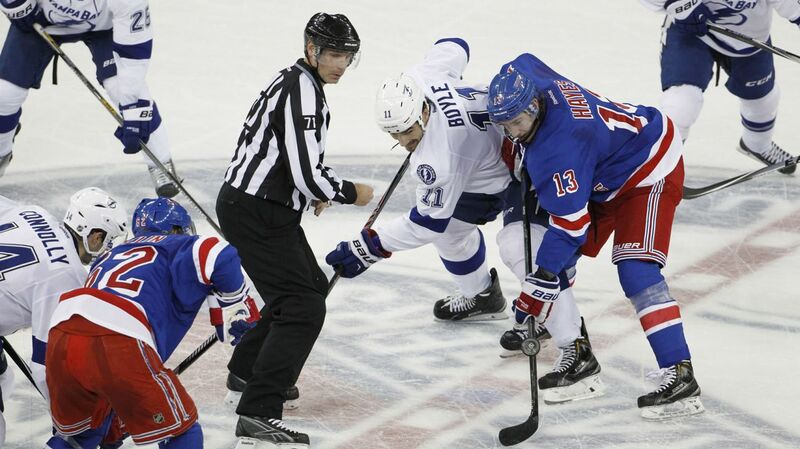 Last year, the Rangers and Lightning squared off for seven games, battling for the title of Eastern Conference Champion. Things could hardly be more different now. The Rangers (20-13-4) had a long, six day break to recuperate and get ready for their game against the Nashville Predators (18-12-6). So what do they do? Come out with almost no offense at first, rebound for a good second period, and then completely fall apart in the third, ultimately losing 5-3. There’s no other way to say it. This team is fragile. They’re broken. This isn’t a slump, and it isn’t a passing fad. This is their reality. As they are currently constructed, they are not a great hockey team. They aren’t playing like a good team either. Something needs to change. There needs to be a move made to inject life into the lineup. 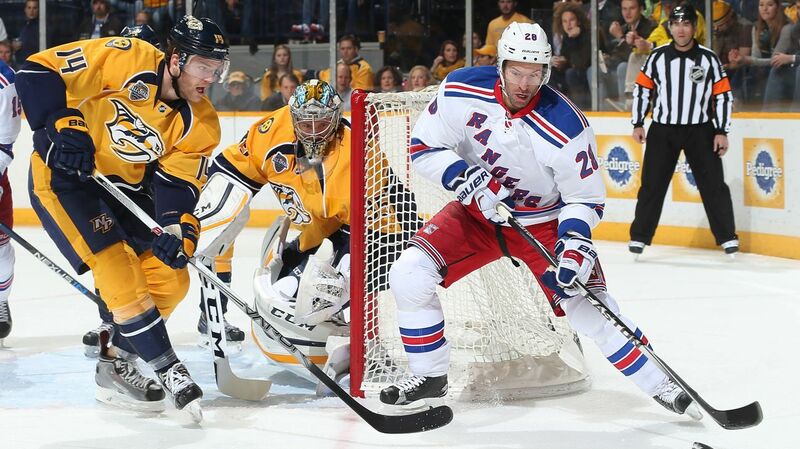 After a long holiday break, given a chance to recuperate and take a mental break, the Rangers (20-12-4) head down to Music City to take on the Nashville Predators (17-12-6), the first game in a three game road trip. This is the second and final matchup between these two teams this season, with the Rangers coming away with a 3-0 win back on November 23rd at MSG. The Rangers played badly, outshot 31-19, but goals from Rick Nash, Derek Stepan and Kevin Hayes secured a win for the home team.